Hurricane Harvey wreaked havoc on Houston, Texas and the surrounding area this past August. The storm made landfall in mid-August, causing millions of dollars in damage with winds near 130 miles per hour, 40-60 inches of rainfall, and catastrophic flash flooding throughout the region during late August and early September. It has been recorded as one of the wettest tropical storms to ever hit the United States. Now, in the aftermath of that storm, our neighbors to the south are dealing with untold damages and overwhelming rebuilding efforts. That’s why, as of October 6, Colorado Tri-Flo Systems has decided to lend a helping hand by donating dozens of our restoration heating equipment to assist with relief efforts. 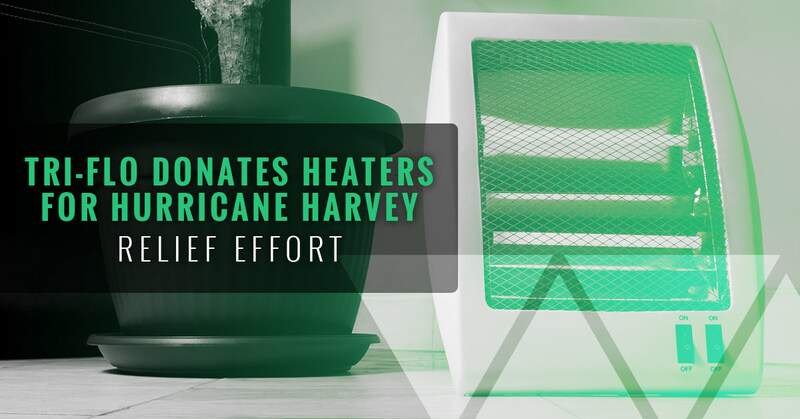 Our restoration equipment, including our line of industrial electric heaters, have been shipped to various parts of Houston and Texas in order to help people dry out their homes in the wake of the flooding and damage brought on by Harvey. The best part about it? People seem to be benefiting from our industrial electric heaters and restoration equipment. 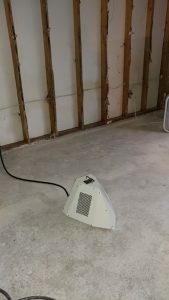 “We used the heater to dry our house out after Hurricane Harvey flooded us with four feet of water. We couldn’t believe what a difference it has made. We have had three units running for three days, and the moisture content was at 12 percent. What a great product. How was this restoration equipment able to make such a difference? Keep reading to learn more. Here in Colorado, we certainly understand the hazards of dealing with Mother Nature. That’s why Colorado Tri-Flo Systems felt compelled to act in the wake of Hurricane Harvey by donating our restoration equipment to families in need. 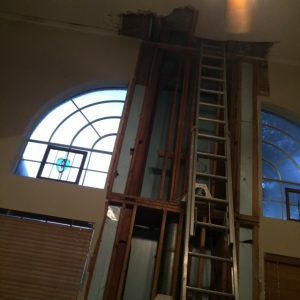 The flooding caused by the storm could have taken days, weeks, or even months to clear out, which is precious time that many affected by the storm simply didn’t have. It was our hope that by donating these portable electric heaters, the process would be sped up, even if only slightly, to help people get back to their lives as quickly as possible. Hurricane Harvey was one of the most destructive hurricanes to reach landfall in the United States in many years. The flooding caused by the storm impacted hundreds of thousands of homes, led to the displacement of more than 30,000 residents in the Texas and Louisiana regions, and all told will ultimately cost an estimated $70-200 billion in damages and economic impact. Relief efforts are still underway in Texas and across the United States in the aftermath of the storm. Contact the Red Cross or any other charitable organization of your choice to make a donation. Colorado Tri-Flo Systems is based in Longmont, Colo., and places an emphasis on heated airflow for a variety of industrial solutions. From killing bed bugs to providing restoration relief, Colorado Tri-Flo was founded on the principles of making things easier for the customers it serves. Visit Colorado Tri-Flo at www.tri-flo.com to learn more about the restoration equipment and electric bed bug heaters they offer, and learn more about how their products have helped provide practical solutions across a variety of industries.